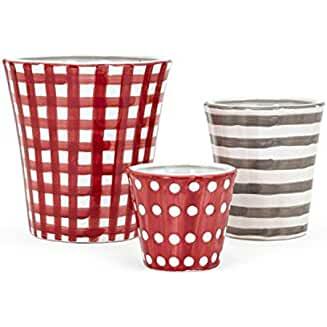 Have you seen the latest polka dot decor trend? If you love polka dots, it’s definitely worth checking out! 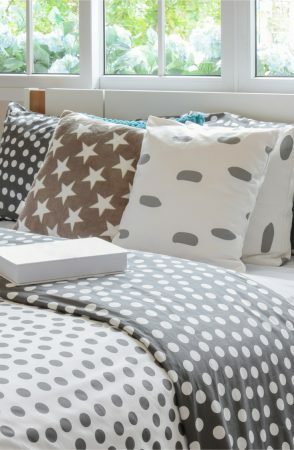 Cute little polka dots are showing up on everything from sheets and blankets to wallpaper and furniture. 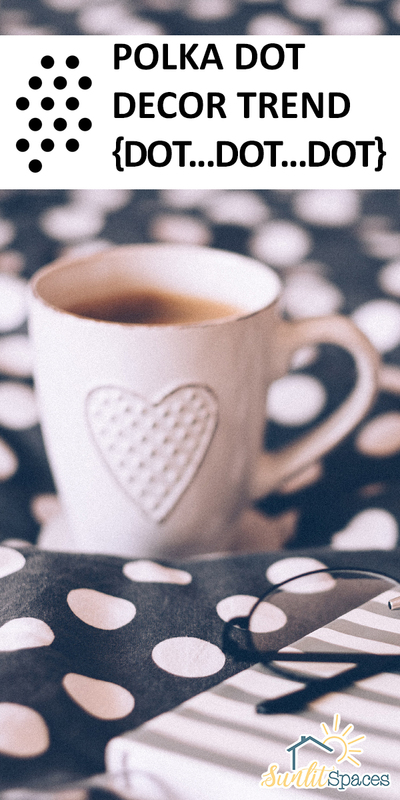 Let’s take a closer look at this trend and how you can incorporate it into your own home decor. There’s just something so appealing about this room with its black-and-white polka dot decor. Love the white polka dots on black pillows and chair coverings. Notice how the lamp shade just mixes it up with black polka dots on a white background. It definitely keeps the look fresh and interesting! It is so easy to polka dot a wall, and there are two ways to do it. Use gold paint–or any other color–and a stencil to apply gold polka dots in the exact size you want. Or use a Cricut machine to make your own polka dots in a color of your choice. Apply them to the wall, and if you aren’t satisfied just peel them off and adjust as you wish. So easy! 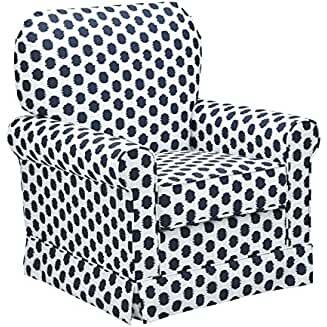 Polka dot furniture is available in stores, or you can paint and stencil your own pieces. 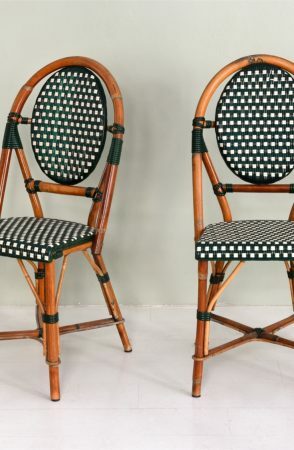 I love the idea to find interesting chairs or tables in thrift or antique stores, and then dress them up with polka dots. 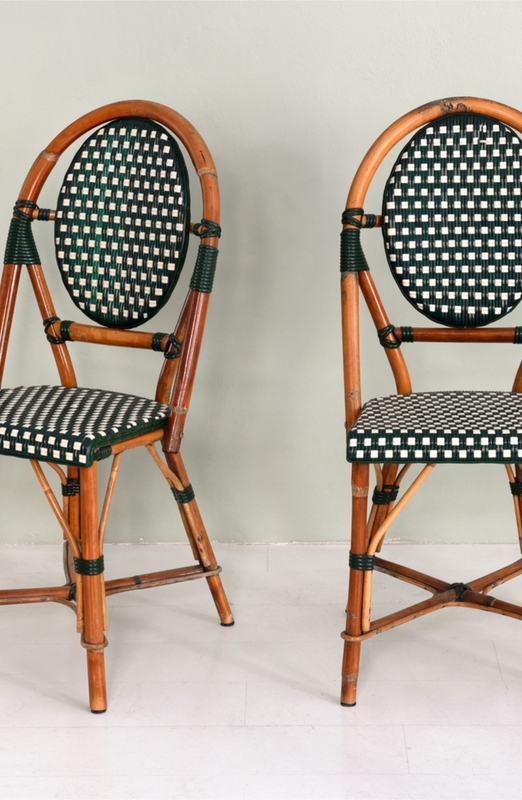 What do you think of these bamboo chairs? 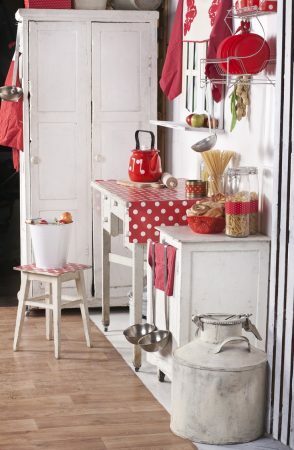 I love the inspiration in this quaint little farmhouse kitchen! 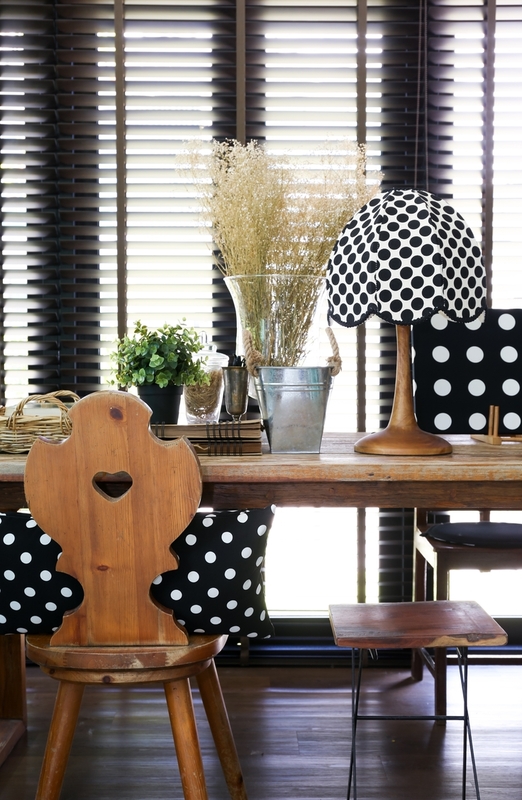 Polka dot decor definitely fits into the farmhouse frenzy. There’s something especially appealing about white polka dots on a red background. 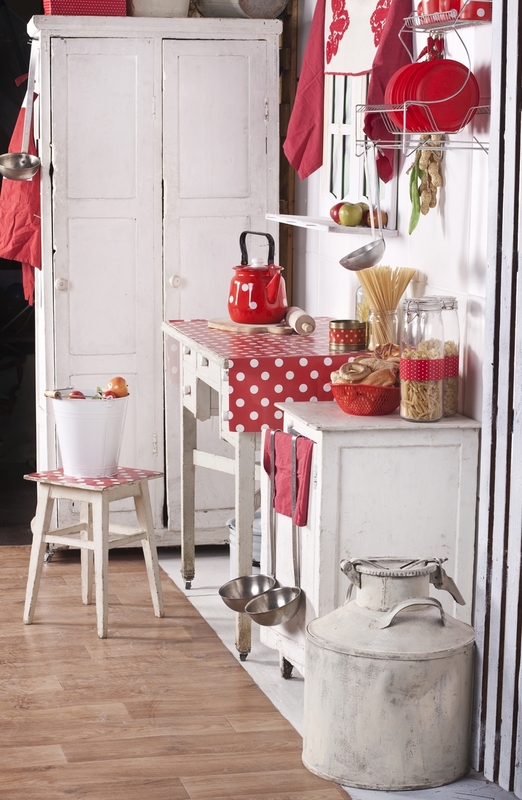 Paint a drop leaf table and matching stool in red-and-white polka dots. It just exponentially increases the charm of the whole space! 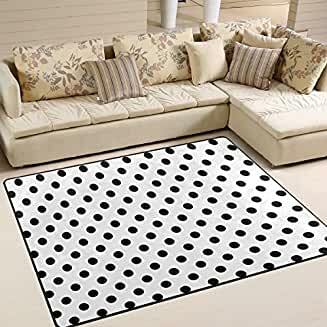 From rugs and bedding to planters and furniture, find lots of ways to capitalize on the polka dot decor trend at Amazon. Which of these is your favorite? 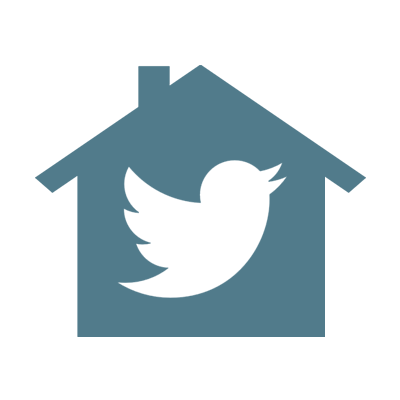 ← Are You Feeling The Modern Farmhouse Frenzy?